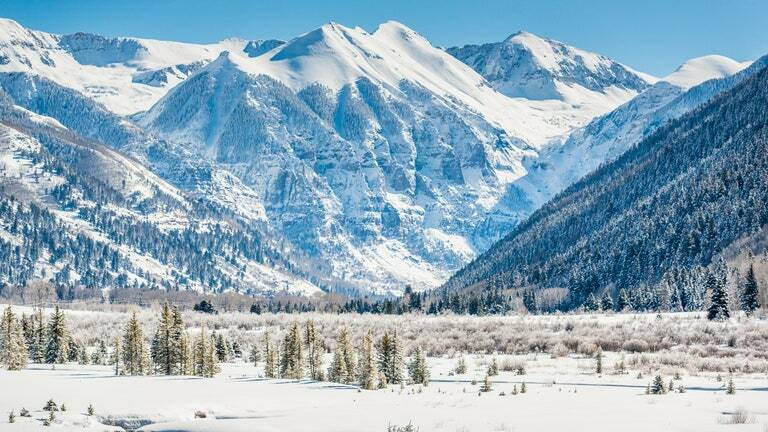 Telluride, CO (October 2018) — Tueller & Gibbs, LLP takes the lead on advising investors on qualified Opportunity Zone investments in Colorado and Arizona. Tueller & Gibbs, LLP with offices in Denver and Telluride, has significant corporate, tax and real estate law experience. Sean Murphy, Mayor of Telluride and Of Counsel for Tueller & Gibbs, LLP has many years of international tax law experience. “We offer unparalleled service and expertise tor clients considering Opportunity Zone investments,” Murphy said. Opportunity Zones are designated by the chief executives of every U.S. state and territory. This new economic development program was designed to encourage long-term private investment in low-income communities. “The Opportunity Zones program provides a tax incentive for investors to re-invest their unrealized capital gains into Opportunity Funds,” Murphy added. Three basic tax incentives (deferral, stepped-up basis and exclusion) can apply when capital gains are invested in low-income census tracts designated as qualified Opportunity Zones. “Low-income census tracts are areas with an individual poverty rate of at least twenty percent and median family income no greater than eighty percent of the area median,” Murphy stated. An individual or corporate taxpayer has 180 days after disposing appreciated investment property (the “Original Appreciated Property”) to invest the resulting gain in a qualified Opportunity Fund. Tueller & Gibbs, LLP is structured to represent national companies and small enterprises, as well as individuals dealing with local challenges. Its transactional and litigation attorneys work together as a team providing experiential depth to creatively and pragmatically navigate complex issues. In addition to its Colorado offices in Denver and Telluride, Tueller & Gibbs, LLP has a long-standing relationship with Catherine Conner of Conner Law, PLC in Phoenix, Arizona. For more information, please call (303) 854-9121, or visit www.tuellergibbs.com. Tueller & Gibbs, LLP, a Denver and Telluride law firm focusing on Real Estate, Corporate Law, and Commercial Litigation, worked with Telluride Arts in connection with the Transfer Warehouse Capital Campaign Kickoff at a July 3rd event at the historic Telluride Transfer Warehouse. Tickets may be purchased at the Telluride Arts Headquarters, 135 W. Pacific Avenue (across from the Library), July 16 through July 20 from 12 to 6 p.m. and July 21 from 10 to 4 p.m.; or at the Mountain Village Market, located at 455 Mountain Village Blvd., July 22, from 10 to 4 p.m. Advance purchase of tickets is recommended, since the event has sold out the last two years. LTL Architects (Lewis.Tsurumaki.Lewis), a design intensive architecture firm, was selected from three finalists in the design competition. The Telluride Arts website quotes LTL’s David Lewis as saying, “Our design for Transfer Warehouse transforms the space through a creative engagement between old and new, past, present and future, between flexible and highly calibrated spaces.” The building, in its current roofless state, is open for both public and private events in the Telluride Arts District. Tueller & Gibbs, LLP is structured to represent national companies and small enterprises, as well as individuals dealing with local challenges. Its transactional and litigation attorneys work together as a team providing experiential depth to creatively and pragmatically navigate complex issues. For more information, please call (303) 854-9121, or visit http://www.tuellergibbs.com. Yesterday, Telluride Arts finalized the purchase of the Telluride Transfer Warehouse, a major step towards transforming the space into a vibrant Center for the Arts. This is an important milestone in the implementation of the Telluride Cultural Master Plan, adopted in 2012 with extensive community input. This date marks the culmination of five years of planning, dreaming, fundraising, due diligence, negotiations, and design which has produced a visionary project that will transform the iconic historic structure into a cultural and architectural landmark. The existing stone walls were completely restored by master stonemasons last summer as a condition of the sale, and the building is safe and stable for the first time in 40 years. The plan is to create a building inside of the historic walls that will provide new spaces for art exhibits, events, and intimate community gatherings. The Warehouse will be a beacon for local and visiting artists who will intersect, inspire, connect, and thereby advance their work and sales by drawing in a wider audience. Telluride Arts looks forward to developing this cultural asset for the benefit of the community we serve. This accomplishment was made possible through the stalwart guidance and generosity of the board of Telluride Arts and our advisors and donors, the Town of Telluride, San Miguel County, Colorado Creative Industries, the National Endowment for the Arts, ArtSpace, Boettcher Foundation, the State Historic Fund, National Historic Trust, LTL Architects, Silman Engineering, Telluride Transfer LLC and their team, numerous foundations and the multitude of non-profit partners, artists, and community members who have joined us to plan, dream, and have shown up for us at every turn. The building, in its current roofless and spectacular state, will be open for both public and private events beginning in June. 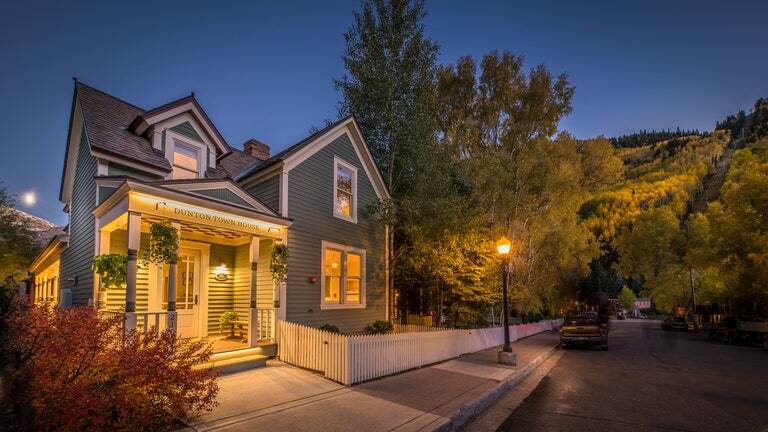 Telluride Arts invites the community to join us in advancing a culture of the arts in the Telluride Arts District and achieving the goals of our Cultural Master Plan. Join us for the Summer Fundraising Kick Off Party July 3. Several months into an extensive restoration process, the Transfer Warehouse is in the best condition it’s been in decades. Ensuring that the historical integrity of the building stayed intact prior to converting the space into an arts center was a top priority, Jones said. “That was an important first step and we just about accomplished it,” she said. Phase 1 included stabilizing the building by adding steel lintels — horizontal beams that are used to reinforce structures — across the top of all openings including windows and doors. These were then covered by the original wood timber, Feinberg said. Metal rods, also known as connectors, also were inserted into the walls to reinforce the interior and exterior stone. Another important part of Phase 1 included replacing any loose stone, or stone that had fallen off the walls, which had been exposed to the elements since 1979 when the building’s roof collapsed. “These walls have been reconstructed to the original height as best as can be determined (through photographs) and a new stone cap has been placed on the top of the walls,” Feinberg said. Other restoration projects included reconstructing stone arch openings in the building that had “fallen slightly,” removing a vault to make way for more art space, and reinforcing exposed sections of the basement walls. The doors and windows will also be built as replicas of what was in the original structure, which was constructed in 1906. Feinberg said the replicas are based on historical pictures of the building. “There were amazingly few pictures from the horse and buggy days and the vehicle days,” he said, adding that some of the doors were hidden by shadows in the images leaving the details up to a bit of educated guess work. “We are pretty sure they are vertical plank doors and there was a man door in the east primary entry,” he commented about some of the replications. According to Jones, once Phase 1 wraps up, the next step will be to finalize the design of the new space. New York City firm LTL Architects won a competition in May to design the new facility, which will house Telluride Arts and serve as a center for the arts. The firm’s plans are to construct a building inside of the stone structure of the warehouse. Jones said this will “maximize the experience of the historic stone walls” because visitors will be able to see both the interior and exterior stone. In fact, on the north side of the building, the staircase will be built into the space between the new and the old walls. “We are thrilled with this design,” Jones said. Jones said the chosen design really brought to life the essence of the building’s history. “An important part of the architecture was to not just capture the warehouse from that era (in the 1900s) but also capture the last 40 years of it being a roofless ruin in the center of town,” she said. Over the next couple of months, Jones said the community will be invited to participate in further envisioning the space, thanks to a $50,000 grant from the National Endowment of the Arts. Jones said more details will be released soon for both of these opportunities.